Fix iPhone Error 4013. No Data Loss. Have you ever received this message? Well, since you’re here reading this I’m going to assume that you have, which is why you want to find out more about it. Well, simply put, this is a common error with iOS devices, called iPhone Error 4013. Because this error generally occurs while trying to restore iPhone XS (Max) or any other iPhone model using iTunes, it is also nicknamed iTunes Error 4013. So if you want to find out more about iPhone error 4013 or how to fix iTunes error 4013, then read on. What is iPhone Error 4013 (iTunes Error 4013)? Solution 8: How to restore iPhone from backups without iTunes? iTunes error 4013, also known as iPhone error 4013, is usually a hardware related issue. It is mostly caused by faulty USB cable or faulty USB port. In other words, the error is a connection error that implies there is communication issues between your iOS device and iTunes. The iPhone error 4013 prevents your iTunes from updating or restoring your iPhone XR, iPhone XS (Max), or any other iPhone model. However, this isn’t a serious problem. A few simple solutions should solve the issue. So read on to find out how to fix iPhone error 4013. There are a lot of different solutions to iPhone error 4013 or iTunes error 4013, however the problem is that it’s hard to diagnose exactly where the issue lies, so most of the solutions work on a trial-and-error basis. That is, you try out something, and if it doesn’t work out, you try the next thing. This can be an extremely tiresome and long process, it doesn’t promise results, and it also runs the risk of serious data loss. 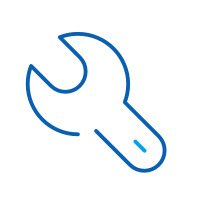 However, if you’d like a one-touch solution, something that can immediately diagnose the problem and fix it without data loss, then you should use a third-party software called dr.fone - iOS Repair. Fix iPhone error 4013 or iTunes error 4013 without data loss. How to fix iPhone Error 4013 or iTunes 4013 without data loss? Download and launch dr.fone. From the main menu, choose ‘Repair’. Connect your device to the computer via a cable. dr.fone will show you two modes to fix iPhone error 4013. For data security, try the standard mode first. dr.fone will identify your iOS device and iOS version, and automatically detect the latest firmware. All you have to do is click on ‘Start.’ The download will take a while, depending on your internet connection. 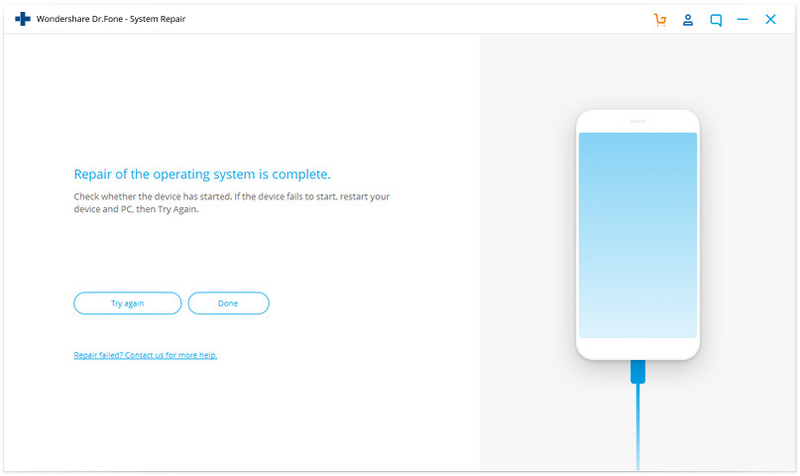 After the download, it will automatically start scanning your device for problems and fix it. You will soon get a message that “repair of the operating system is complete.” This means that your device has been fixed. The whole process shouldn’t take much longer than 10 minutes, and you won’t have to do anything yourself! This process should ensure that whatever the reason may be for iPhone error 4013, it will be fixed for good. 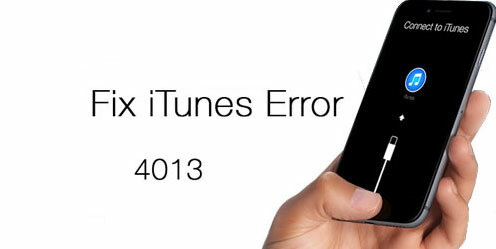 Tips: iTunes error 4013 unfortunately persists after these steps? Something must be wrong with iTunes. 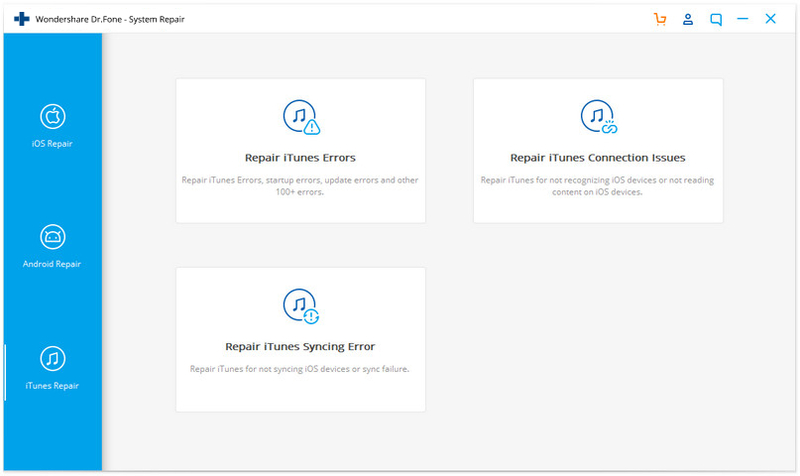 Go to repair your iTunes components and try again. Make sure you are using an Apple USB port. Try to plug into another PC. 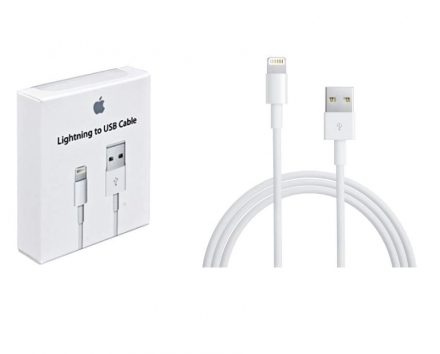 If you try out all these methods and nothing works, then your USB connection is fine, and you should move to Solution 1 to fix iTunes error 4013 without losing data. As we already mentioned, iPhone error 4013 is also called iTunes error 4013, this is because this error only comes when trying to restore iPhone XS (Max) or any other iPhone model using iTunes. It might be possible that your iTunes is corrupted or maybe your iTunes version is obsolete. In this case you should get your iTunes repaired to normal state. Fix all iTunes errors like iTunes error 9, error 21, error 4013, error 4015, etc. Fix all issues connecting or syncing iPhone/iPad/iPod touch with iTunes. Keep device data intact while fixing iTunes issues. Install and open dr.fone - iTunes Repair on your computer. Then select "Repair" from the main screen. In the new screen, select "iTunes Repair" > "Repair iTunes Errors". Then the tool will scan and verify whether iTunes components are complete. If the iTunes error 4013 still pops up after the verification, you need to opt for "Advanced Repair". 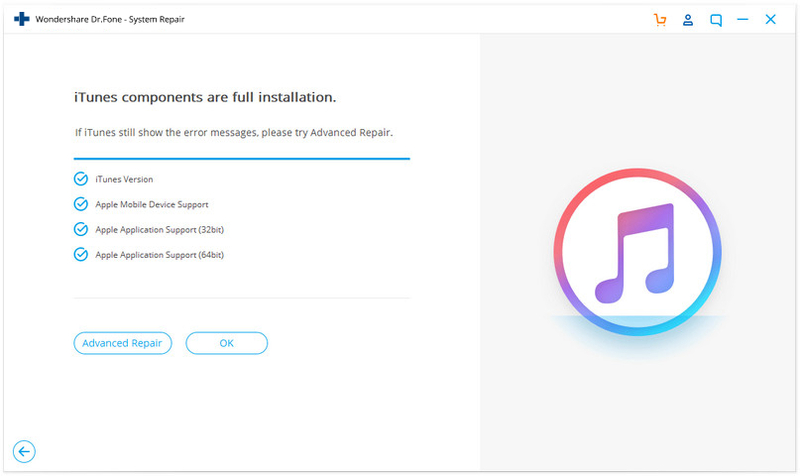 If iTunes error 4013 still cannot be fixed, you need to connect your iOS device to the computer and select "Repair iTunes Connection Issues" to fix. 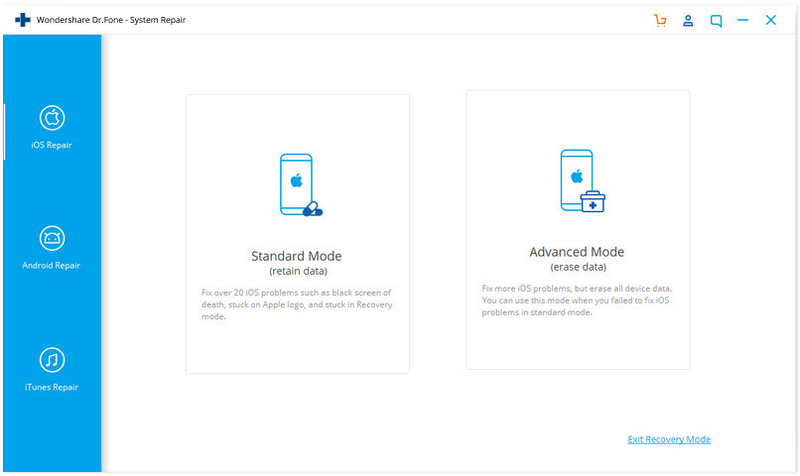 Restart your iPhone XR, iPhone XS (Max), or any other iPhone model. This method also puts you at risk of data loss, so you should first backup iPhone data to iCloud or iTunes. Or to make all things easier, go to Solution 1 to fix iPhone error 4013 by keeping iPhone data intact. The iPhone error 4013 occurs while updating the iOS. So the problem may arise if there isn’t enough space in your iPhone to accommodate a new update. So you should make sure there’s enough space, and if not, then clean up iPhone. In order to fix iTunes error 3014 or iPhone 3014, you can also try to factory reset your iPhone. Below are the steps to fix iPhone error 4013 via factory reset. Firstly, back up your iPhone. Go to "Settings" > "General" > "Reset"
Choose the "Erase All Content and Settings". 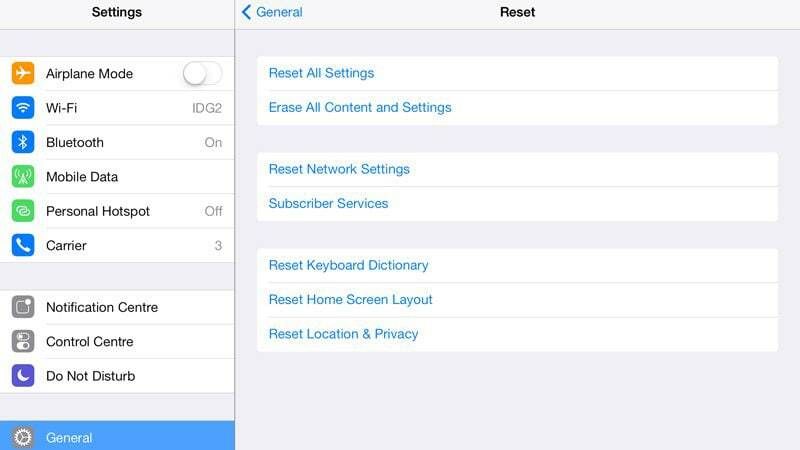 Note: Factory resetting will bring you troubles like setting up iPhone again, restoring data from iTunes/iCloud, etc. To prevent these troubles, go to Solution 1 for system repair without data loss. If none of the previous advices worked, you should be prepared to put your device into DFU mode. Take this option only as your last resort, as it is something that will surely work, but it will cost you all the data you have on your Apple device (including all the applications but the default ones, all pictures, videos etc. 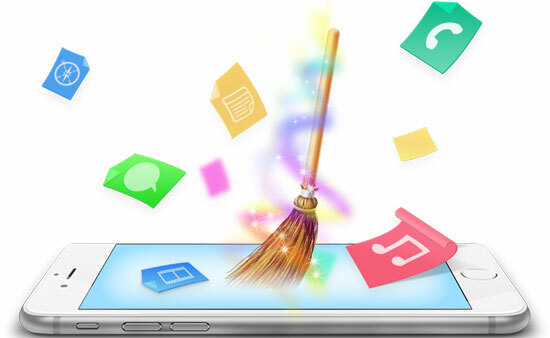 ), as it will practically wipe our anything you have on your iPhone or iPad and restore it as new. So, how to put your iPhone XR, iPhone XS (Max), or any other iPhone model into DFU mode? 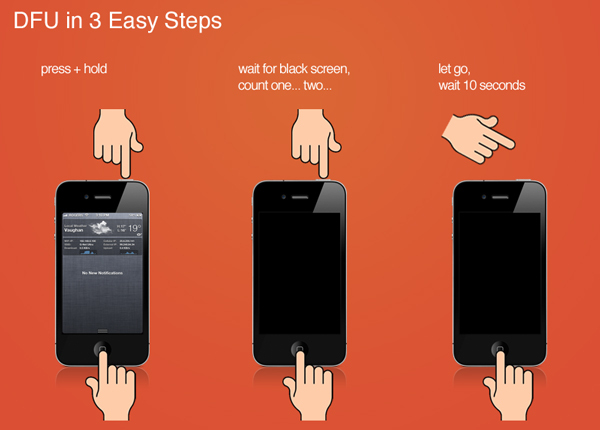 Press and hold the Sleep/Wake Button and Home Button simultaneously for 10 seconds. Release the Home Button. Your iPhone's screen will be completely black. If it’s not, try the above steps again from the beginning. You can also follow this Youtube video to DFU restore different iPhones. And if none of these tips work, then you should contact Apple because it’s likely that your problem might be more internal and deepset. How to restore iPhone from backups without iTunes? If you meet iPhone error 4013 when you try to restore your iPhone from iTunes backups, then you can use dr.fone - Backup & Restore to restore iTunes backup to iPhone without iTunes. dr.fone enables you to restore iTunes backup to iPhone/iPad devices selectively and will not overwrite any existing data on your device. Read and access the encrypted contents in iCloud/iTunes backups. 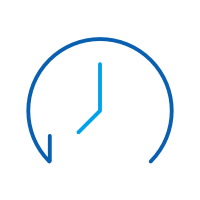 Selectively backup, preview, and restore any data you want. 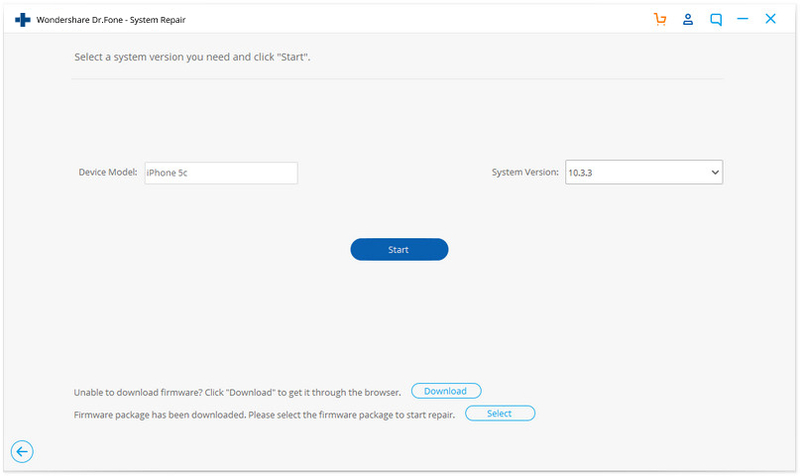 Fully compatible with Windows 10 or Mac OS 10.8 to 10.14. So you now know what is iPhone error 4013, and why it occurs. You also know all the different methods you can try to fix iPhone error 4013 yourself. Due to the uncertain nature of iPhone error 4013, it is hard to arrive at a strong diagnosis, which is why you would have to engage in a lot of trial-and-error methods, which would also put you at risk of data loss. However, we recommend that you use dr.fone - Repair, as it will scan your entire system and fix whatever problem is there, all without any data loss. Whatever you decide to do, keep us posted down on the comments. If you find another solution to the problem, be sure to let us know! We are going to tell you about the solutions connecting iPhone with Mac and windows when you iPhone not recognized by computer or mac. Fix the iPhone volume button stuck issue by following this informative guide. We have listed 8 different solutions for volume button stuck on iPhone 6 problem. This article describes how to fix iPhone touch screen not working issues, one of the glitches of the iOS 12 updates. This articles describes all the means by which you can fix iTunes error 50.